One of the ideas behind the awarenet program is to better utilize the existing computer facilities at local schools. 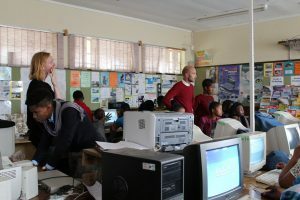 While the lack of equipment obviously is one of the key reasons for the poorly developed IT skills amongst the youth of South Africa, the lack of specifically trained teachers seems to be even more of a factor. 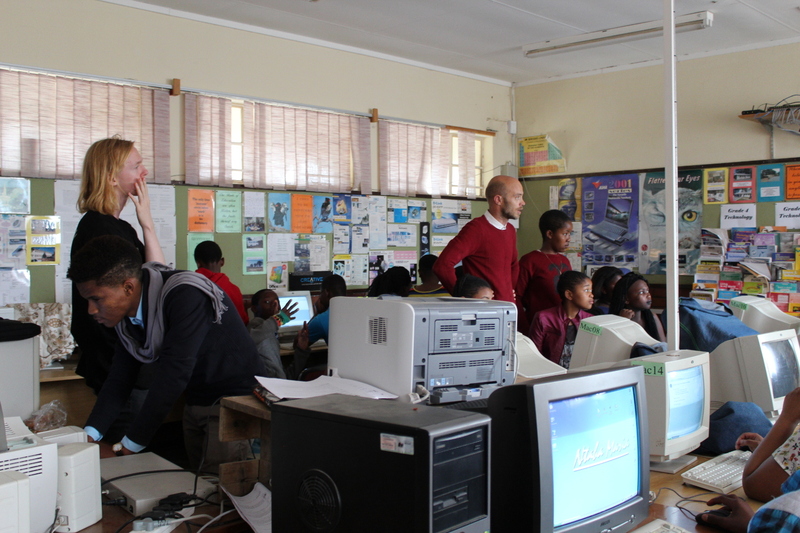 There is a number of schools here in Grahamstown which have a computer lab that is rarely ever used by students. This is where we come in and try to help. But if there isn’t even someone who knows how to properly utilize a computer lab, most probably there isn’t anyone who knows how to maintain it. Computer facilities are usually donated to the schools and then set up, but ongoing support is not often provided. This inevitably leads to problems at some point. Coming straight out of school it is definitely quite a challenge to teach a class of teenagers who even chat in a language I still barely understand a word of. We therefore really don’t need the computer labs to make it even harder for us to put our lesson plans into practice. Mcvay and I therefore made an effort to fix some of the most unnerving problems during the last few weeks. However, the problems we are facing are very different from what I am used to. A lot of the labs use rather old hardware and software that I don’t really have any experience with. Network problems in particular, which are fairly common, tend to be very difficult to solve. This is mostly because the schools can’t give us any information about their network as it was set up by an outside party. Quite often the school doesn’t even have the passwords any more. We already made quite a bit of progress but there is still a lot more to be done. We will keep working on it and we will also get some partners in to help us very soon. Once they have agreed to help we’ll let you know about our next steps. So long, hang in there as we do. Your support will be very much appreciated! This entry was posted in hardware, partner schools, personal, software, staff, volunteers. Bookmark the permalink.